Sculpture Size: 6 X 6 X 2.5 in. 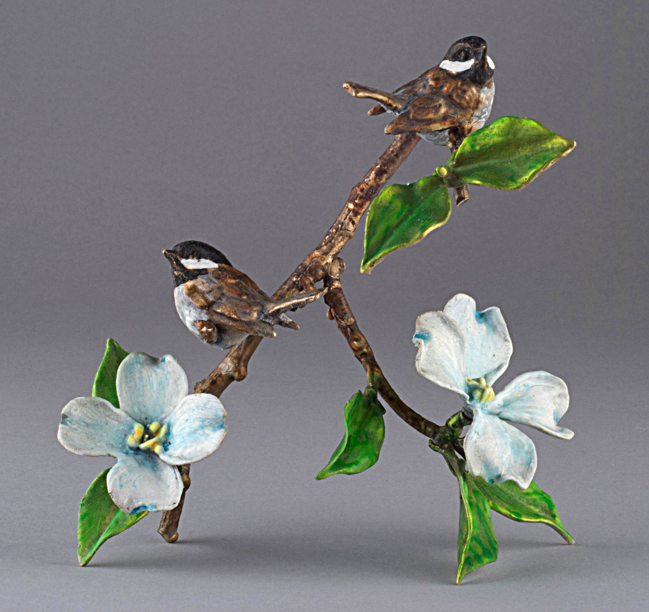 Mark's newest bird sculpture, Petites Belles, will delight those of you with limited tabletop space. This piece was designed to be flat in the back, making it possible to hang on the wall as well as stay perched. An annual edition, these chickadees will only be available for one year to celebrate the 30th anniversary of Mark Hopkins Sculpture.